A1 Overseas International ships to Chad! Call 1-800-450-5319 or fill out our form for a FREE quote! Traveling outside of your own country is an exciting venture that everyone gets to experience in their lifetime. If you have plans to stay in Chad for an extended period of time, A1 Overseas International knows that having your own vehicle will make your stay more worthwhile. A1 Overseas International is a reputable international auto transportation service that will get you ready for customs and can provide safe and easy travel for trucks, motorcycles, cars, and much more. Traveling the outside the city of N'Djamena can be quite difficult because the roads are not constructed as well. If you plan on exploring far and wide, make sure that the vehicle you are transporting can handle the rugged terrain. 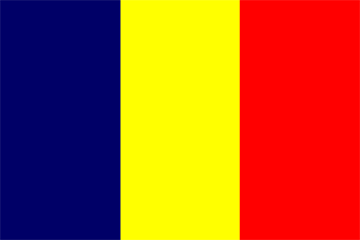 Wherever you go in Chad, make sure that you always carry your passport, driver's license and vehicle registration because the odds of running into roadblocks are high. Chad is one country that has rules and regulations that are stricter than other countries when it comes to exporting a vehicle. For instance, no vehicle that is older than three years is permitted to be imported into Chad. They will also want to know why you need your own vehicle while staying in Chad and you will need to provide legitimate proof in order to get this approved. A1 Overseas International has a few auto shipping options available so call to inquire about which method is best for you.